Let me be clear – the purpose of this post is not to criticise anyone but to be honest and transparent, and to give some food for thought to stakeholders. I’m lucky to have some great people that work with me in the UK, but most of our team is located outside of Britain. I came to the UK to study, fell in love with the place and the people, and am now a British citizen. There have been times when I’ve been frustrated by the bureaucracy and treatment that I was exposed to during the journey to my citizenship, even though I spent more than £40K on education in the UK, had paid tens of thousands in taxes, and hopefully had made a positive contribution to the nation through my work. But despite these quibbles, apart from Mumbai where I was born and raised, there is no city in the World that I would live in other than London, at least for now. The UK Government, HMRC and big businesses have all been assisting start-ups through tax schemes, grants, mentoring, etc., and we have been lucky enough to benefit from some of these sources. We naturally wish to return the favour by paying our fair share of taxes, hiring people in the UK, supporting other entrepreneurs and businesses, and helping London retain the title of the FinTech capital of the World. But as a start-up, we need to be lean, nimble, efficient and above all, we need to SURVIVE! We have raised seed money, and will be able to last only a few months, so we have to make the most of our money and time. Hiring a person in the UK requires you to create a contract, and to manage payroll processing, and payments from your bank. You cannot easily fire an employee whose performance is not up to the mark – you have to follow a long process and may expose yourself to litigation. On the other hand, hiring over eLance is simple – find the person, use standard contracts, approve timesheets, and payment is debited on PayPal. Simple! 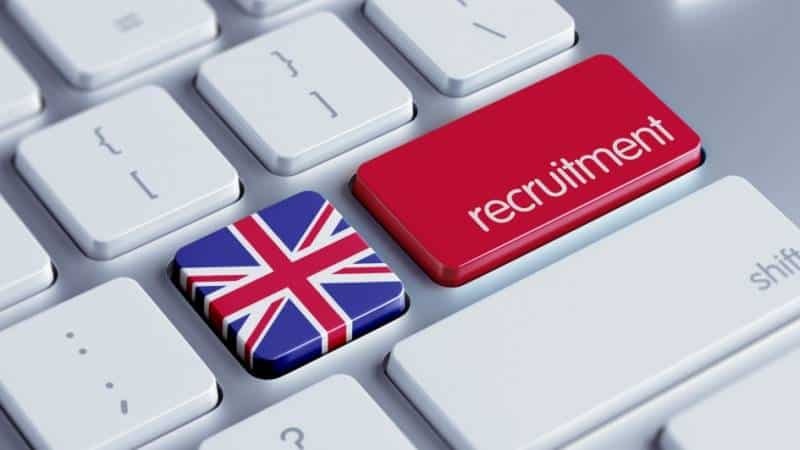 If you are a contractor in the UK, you will love the current situation – not enough quality talent coming into the country; consequently your daily rates go up. On the other hand, as a business there can be problems finding people with the skill sets that you need, and even if you do, you can’t afford them. It’s relatively easy for big corporates to hoover up quality talent by offering unparalleled financial benefits. The other issue of which most people are not aware is that the lack of talent means that young graduates may not get the mentorship required to improve their skills. When you hire a person in the UK, you don’t hire them for a year, you hire them for 11 months because of the minimum annual holiday entitlement. I’m not against this idea, but as a start-up this is unaffordable. As online communication and collaboration tools improve, as people get accustomed to working across time zones, and as the English language becomes more dominant in some non-English emerging markets, the cost of arbitrage is too massive to ignore for start-ups. We can hire a rockstar senior developer in the Ukraine, India or Vietnam, and pay much less than we would have to shell out for an inexperienced junior developer in the UK! I do not wish to generalise, and the following is definitely not a reflection of those who work with me in the UK. In fact, the people that work with us in the UK have been selected based on their exemplary commitment and attitude. I would concede that I too may have been guilty of similar conduct while I was in a cushy corporate job. However, in general terms we in the UK have too many social distractions, have the support of government social security which means that we may not really care about the success of a company, work effectively only a few hours in the day of the required eight hours, and only do that which we are told to do. On the other hand, we find that people we hire from emerging economies to be more proactive, efficient and work more effective hours than those in the UK. If you want a comfy life, start-ups are not for you! We would love to work towards changing this, and are open to feedback from other entrepreneurs in the UK. We are also ready to admit to errors if you can convince us that we are wrong about any of the above points.